Sat Nam is a place to be you, to develop your spiritual strength and experience the joy of your True being. Sat Nam Yoga Chicago was founded by Karampal Kaur in 2010. Starting out as a single room studio in the basement of a Chicago Historical Building, it has since blossomed to occupy two levels and three studio spaces and a lush garden courtyard. Sat Nam is Yoga home to hundreds of people, all on their own path of discovery and development. We offer 11 different class styles, ranging from Tai Chi to Dance, and Restorative Yoga to Vinyasa with Kundalini Yoga as taught by Yogi Bhajan as our primary practice. When you step into this space, there is a strong possibility you will be greeted with a “Sat Nam.” Sat means Truth. Nam means, Name, or Identity. When we offer Sat Nam as a greeting, we are essentially saying my Truest knowing, knows and sees your Truth as True, too. It’s a welcome that opens the door to be who you are. The Master of Kundalini Yoga, Yogi Bhajan said that yoga was a science for everybody and every body. We embody this belief in seeing everyone as of the same infinite identity, capacity and caliber. 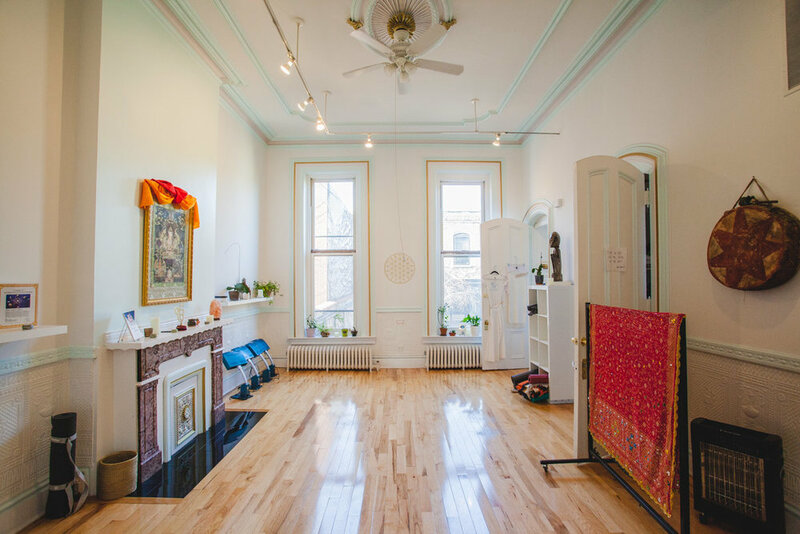 Our shared home studio is a safe space for every human being to be honored in studying themselves through the science and technology of Yoga, Meditation and the Healing Arts. Sat Nam is your center for peace and developing a healthier, happier lifestyle. It’s a place to be of service to yourself and beyond, to discover new truths and tools to build up your own excellence. Come drop off your stress, unwind the mind, unlock your potential, and immerse yourself in a compassionate community. 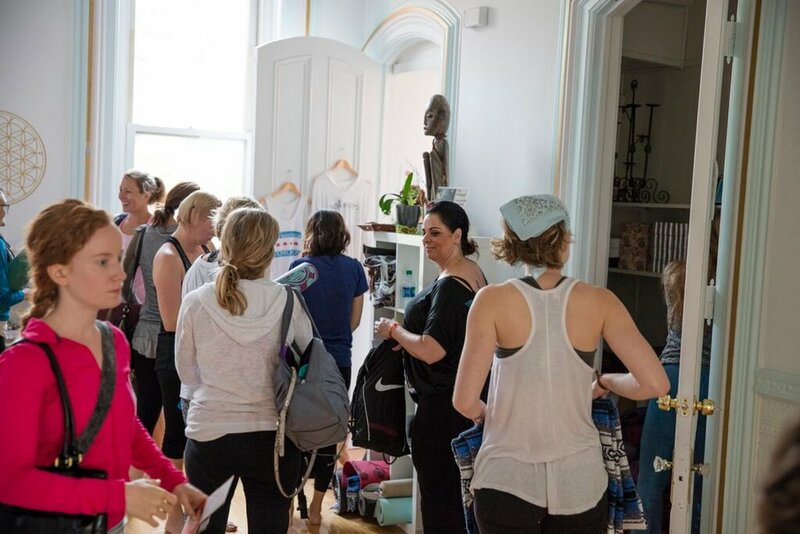 Our weekends are packed with expansive workshops to change tired perspectives and fall in love with life, facilitated by local and international presenters. There’s always something going at Sat Nam, and there is always something for you. First time to Sat Nam? New to Sat Nam? Please visit our new student info page to get started. Sign up for the Sat Namaste Newsletter to stay in tune with what’s going on.